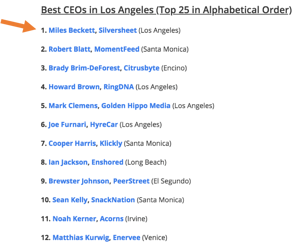 Congratulations to our fearless leader Miles Beckett for making the cut as one of the best CEO's in Los Angeles! Check out the Comparably Blog Post to read about Miles and other CEOs on the list such as Elon Musk. We said, 'Wow Miles, you're in the number one spot!' and he said 'Well, that's because I beat everyone in the alphabet!' That's alright, we'll still accept the top 25 slot any day. Comparably results are based on ratings received from employees, so you know that there are a lot of #warmandfuzzies happening in Silversheet this week. 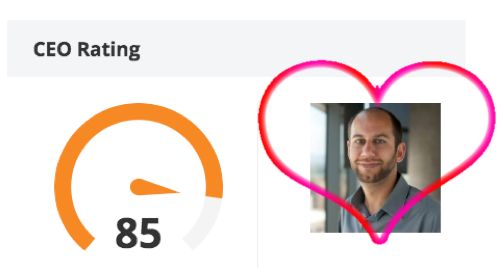 Thanks Miles for making Silversheet a great place to work and for making us one of the fastest growing medical software companies in Los Angeles! Silversheet is a one-stop-shop for managing provider information such as credentials, appointments and many other documents that need a safe home. 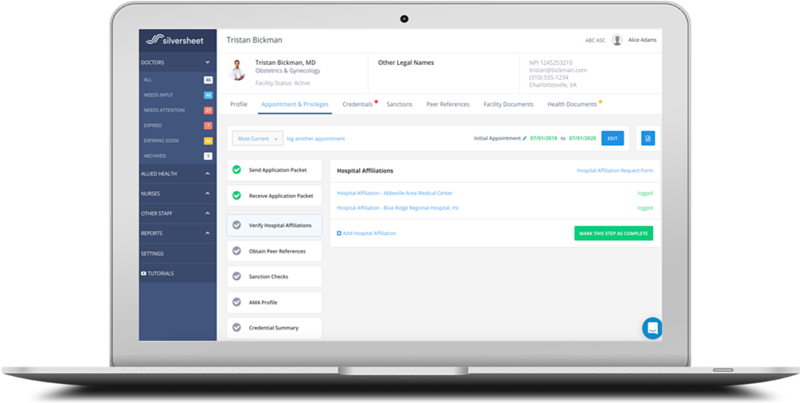 Silversheet helps take the hassle and guesswork out of physician credentialing for healthcare facilities. No more credential management headaches. Silversheet is online software that makes managing credentials simple and paperless.